Our signature service is our casual, outdoor student portraits.These pictures are a refreshing departure from conventional, stale indoor photos. Yet while our pictures are attractive, we don't sacrifice efficiency. If fact, our picture sessions are so quick & efficient, we can usually cut your students out-of-class time in half. A school with 200 kids, for example, is typically photographed in just 3 hours. 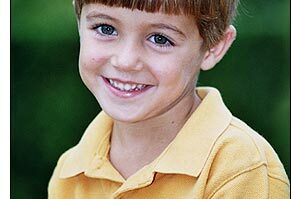 We also offer many different methods of offering the pictures to your school families. Whether it's sending home proofs directly to each family or setting up a "pre-pay" ordering system, we will work with you to find the most suitable arrangement for your school. Picture packages can be customized for your school and commission programs are also available to help you meet your Fundraising goals. Want to speak with a current Student Portrait Client of ours?